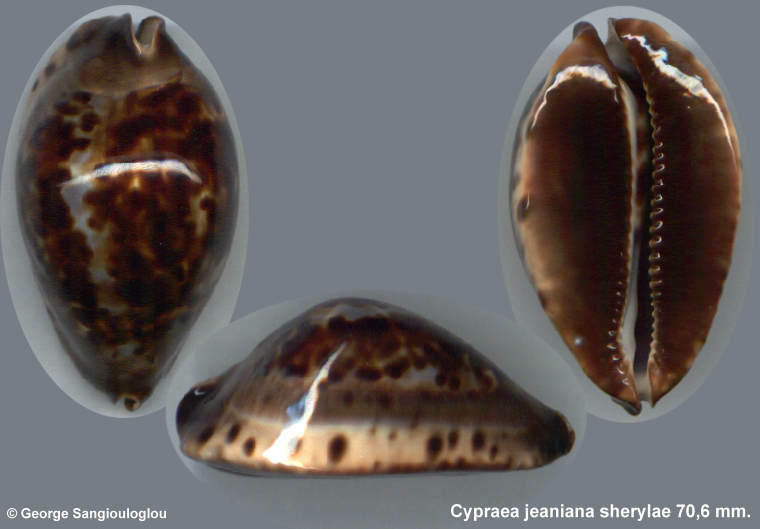 Cypraea jeaniana sherylae 70,6 mm. Lovely dark shells with black bases, side margins both cream with black spots. Has unimportant growth defect on the base.